David P. Callan, P.E., Vice President at McGuire Engineers was present for the ComEd Smart Ideas Energy Efficiency Program Check Ceremony. | MEPC Inc.
David P. Callan, P.E., Vice President at McGuire Engineers was present for the ComEd Smart Ideas Energy Efficiency Program Check Ceremony. 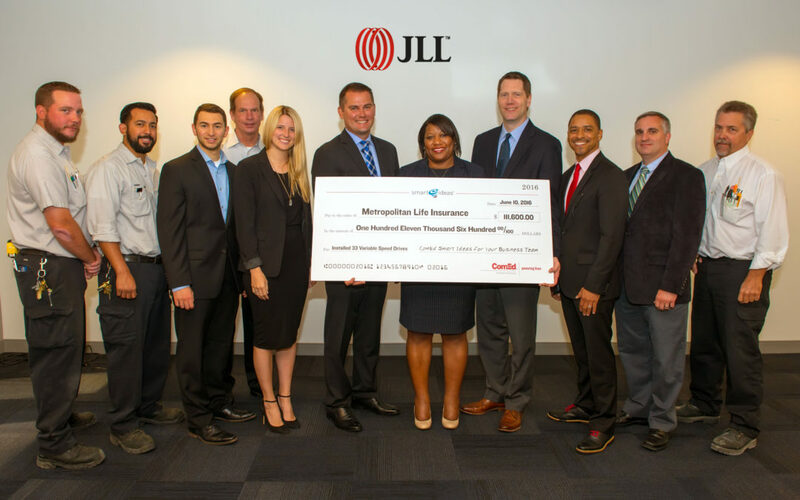 ComEd: Thanks to JLL and MetLife Real Estate Investors for participating in the ComEd Smart Ideas Energy Efficiency Program; as well as for allowing us to help you with your #EnergyEfficiency goals by installing 33 variable speed drives on horsepower rated motors. The project resulted in 481,187 kWh savings. Battle of the Bands featuring Superheat!